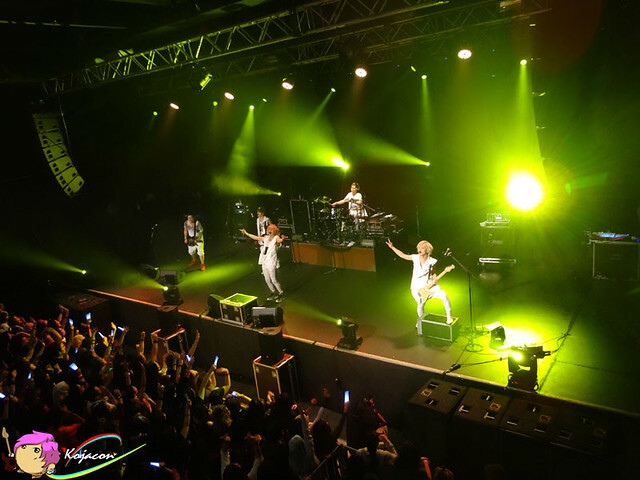 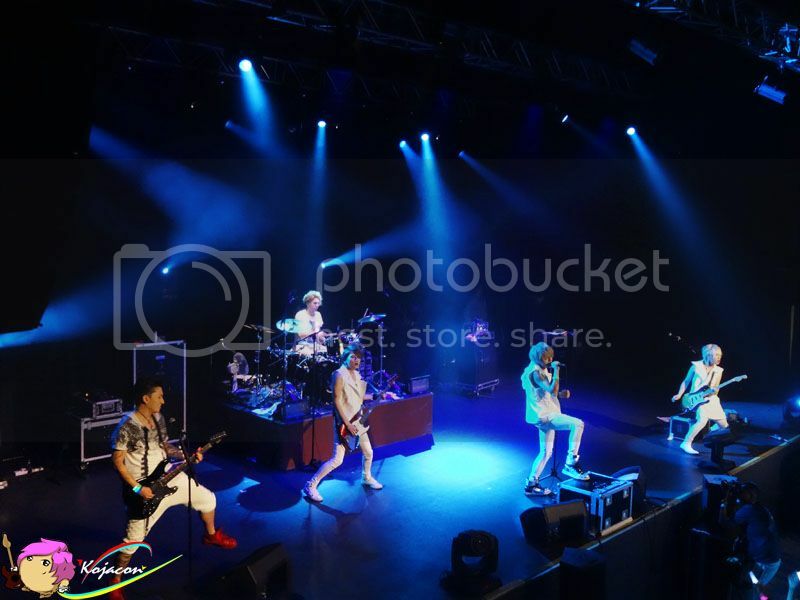 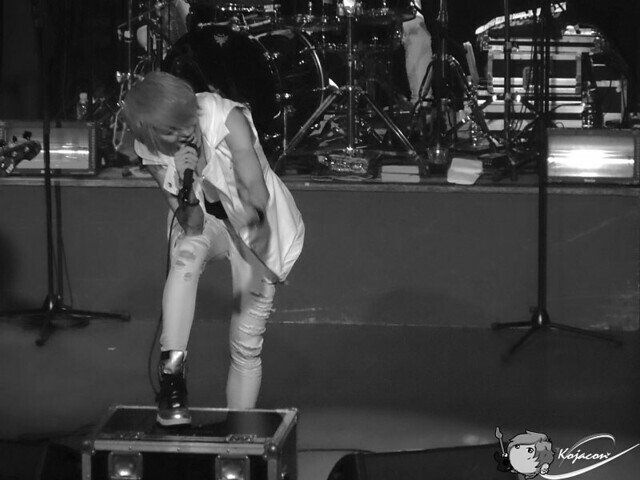 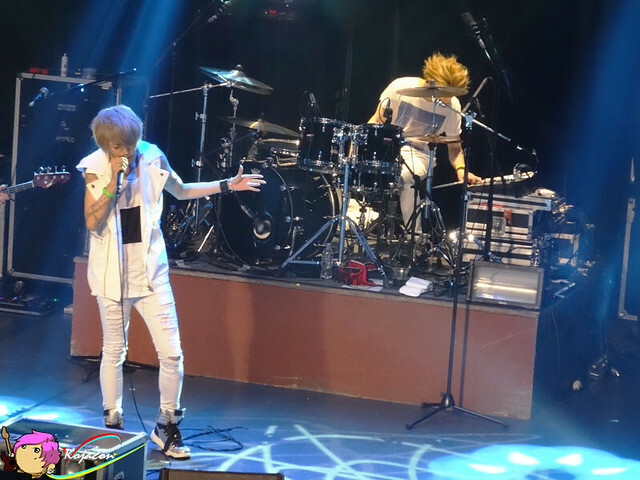 Completing the stops of nine cities in Asia Tour, Visual J-Rock band A9 hit the stage of KL Live in Malaysia. 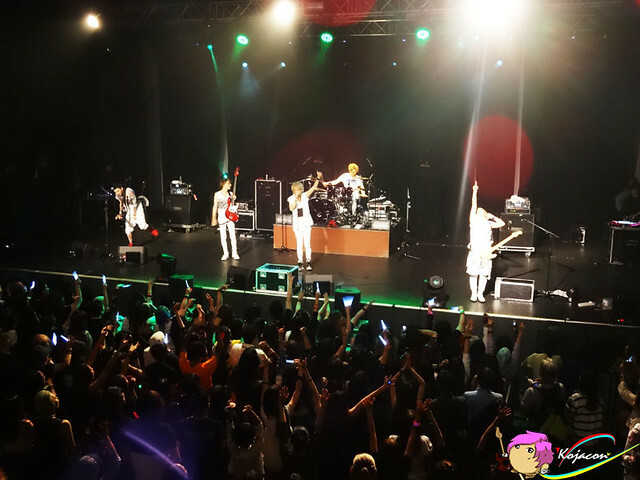 All members, wearing white costumes to represent their rebirth after a short hiatus, appeared on stage along with the screams of fans who’s hungry and thirsty for their music. 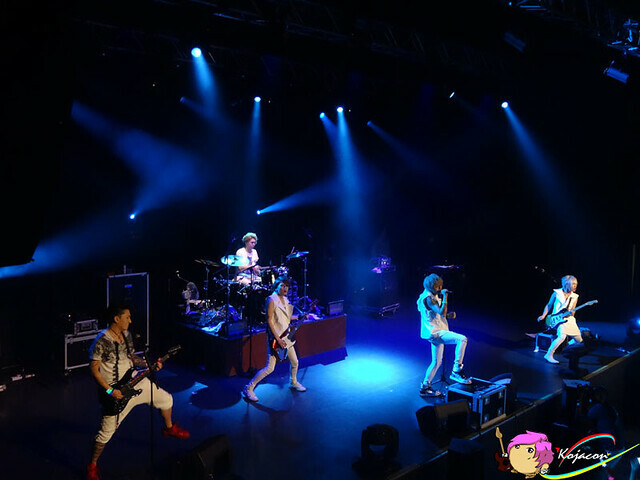 All members were in fine form as they rattled through a number of songs opening with PRAY, Phoenix, Heart of Gold, Doukeshi and Judan. 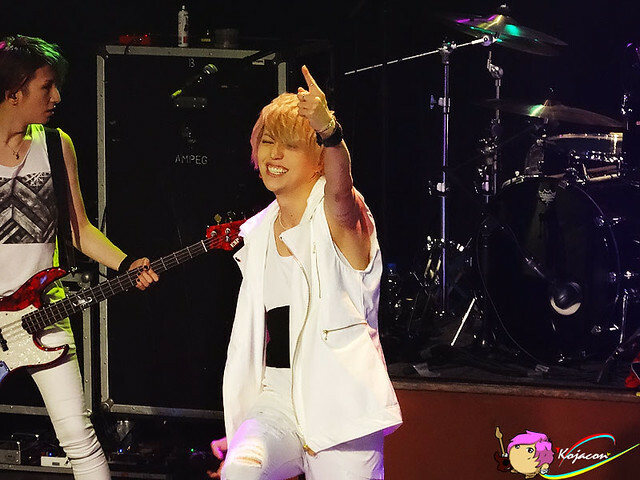 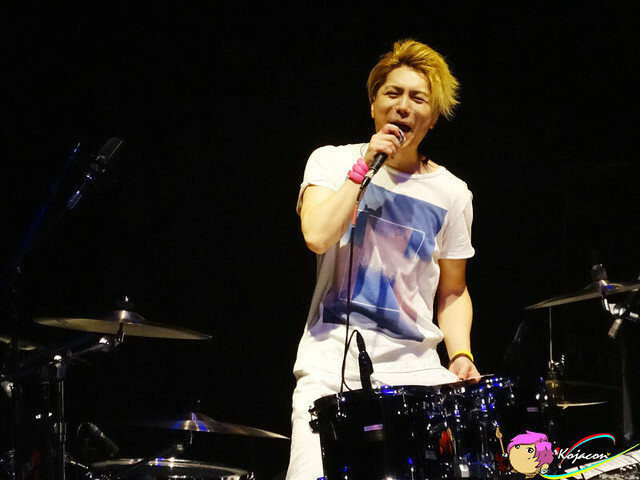 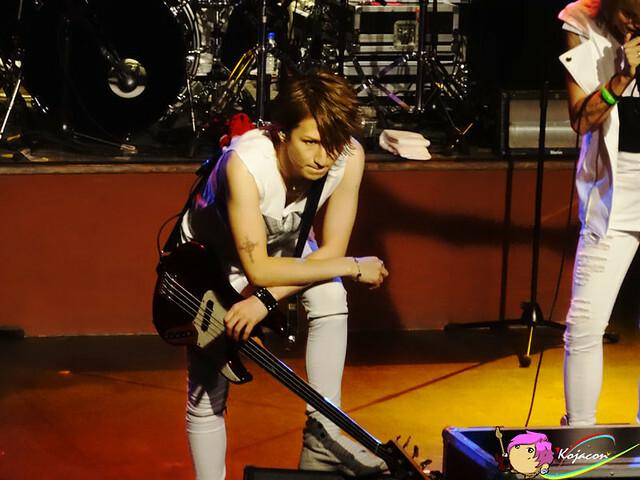 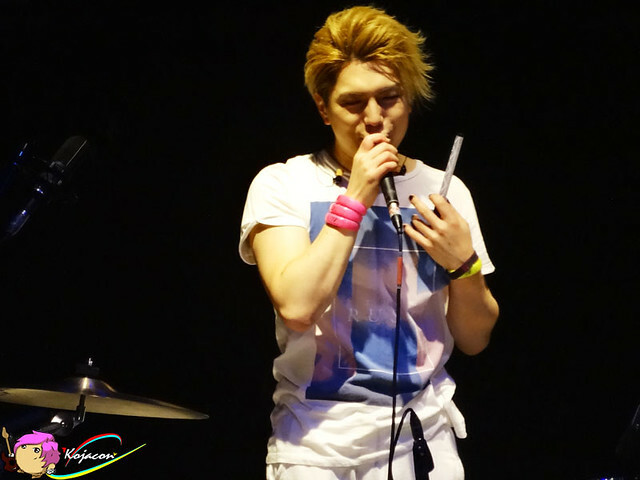 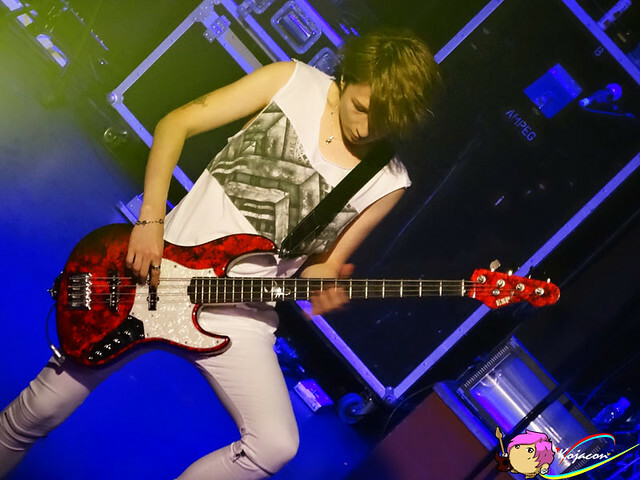 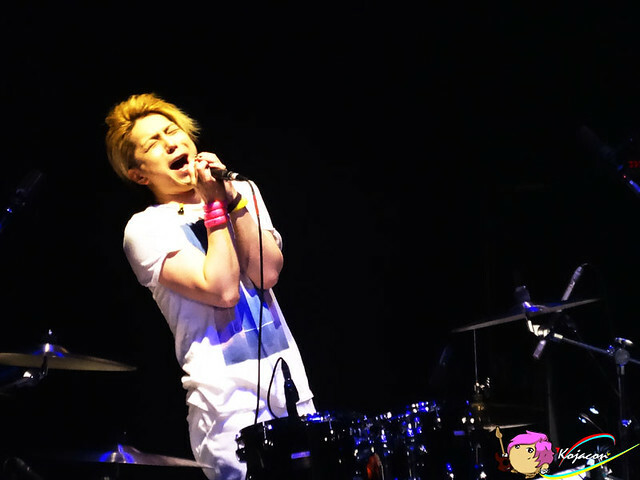 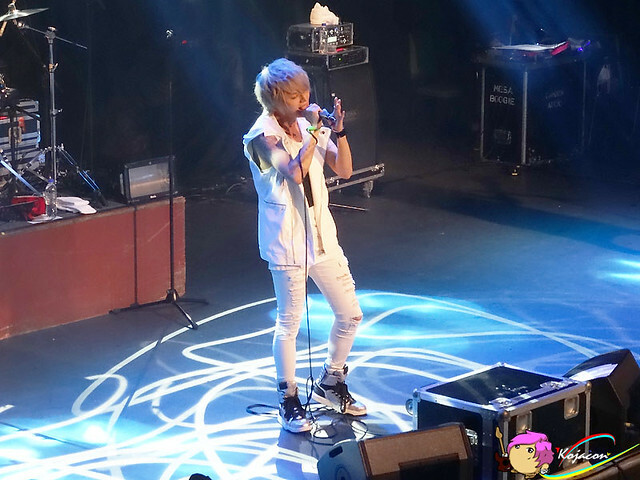 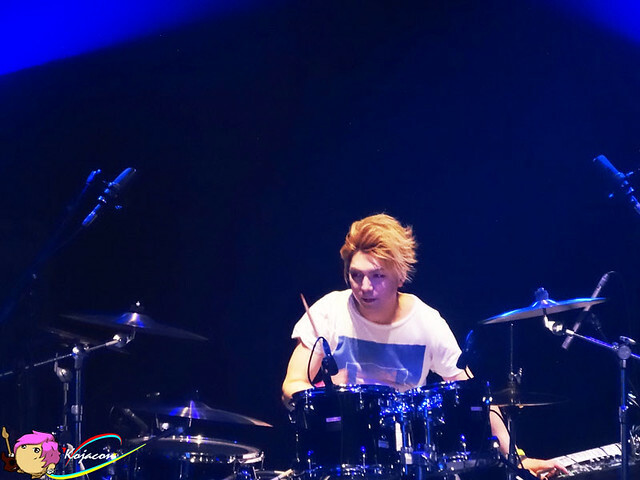 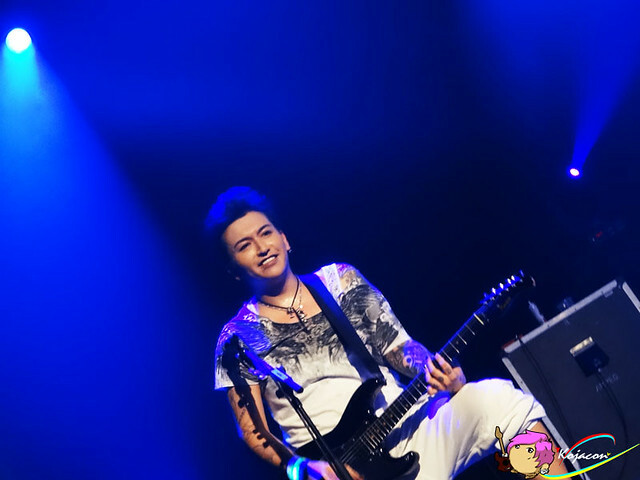 During the show, Shou greeted Malaysian fans with local language like, “Apa Kabar?” (How are you?) 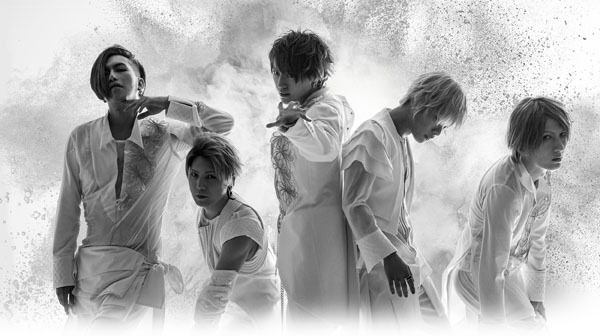 and told them how happy A9 is to be able to perform again in Malaysia amidst all the obstacles. 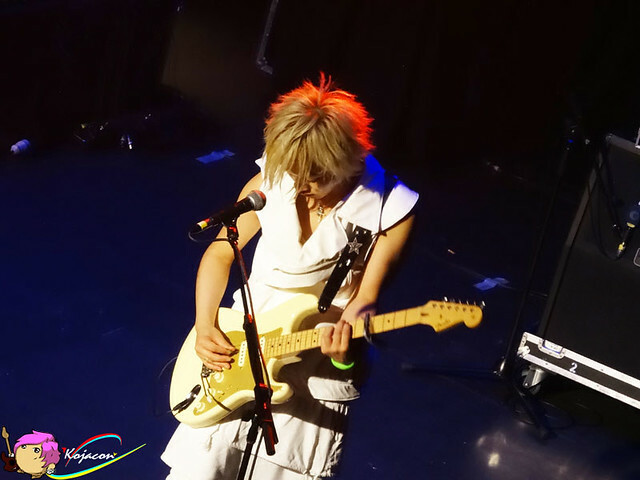 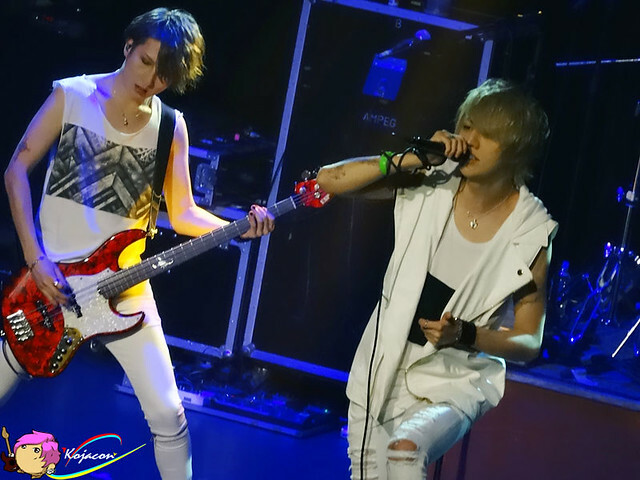 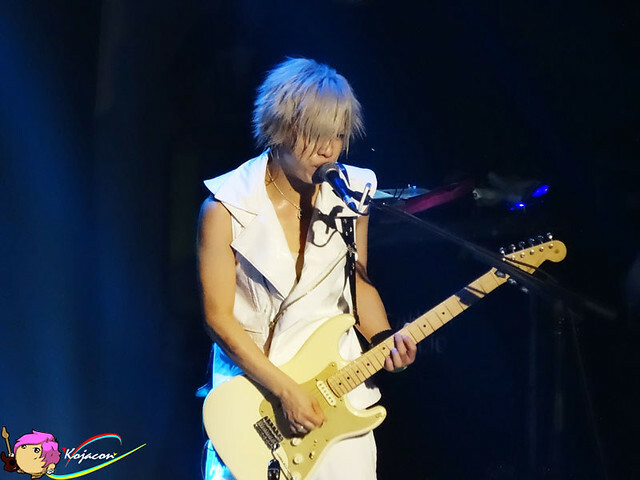 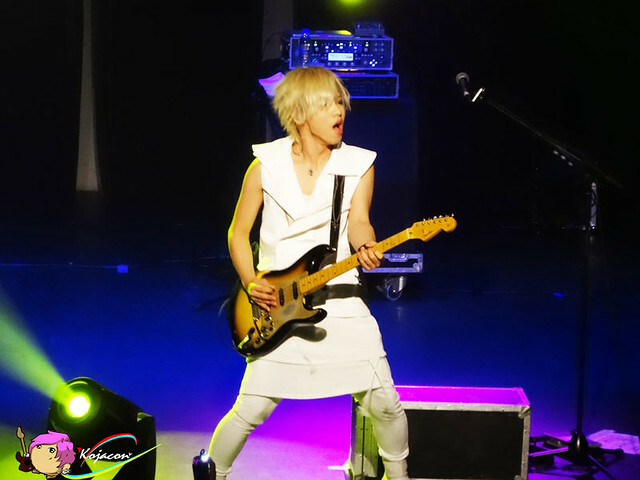 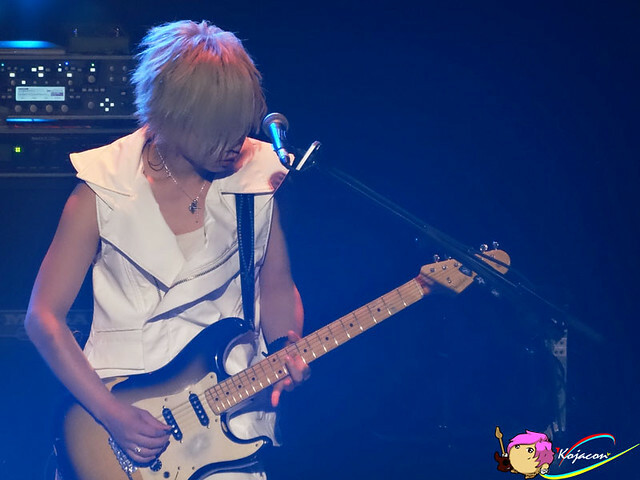 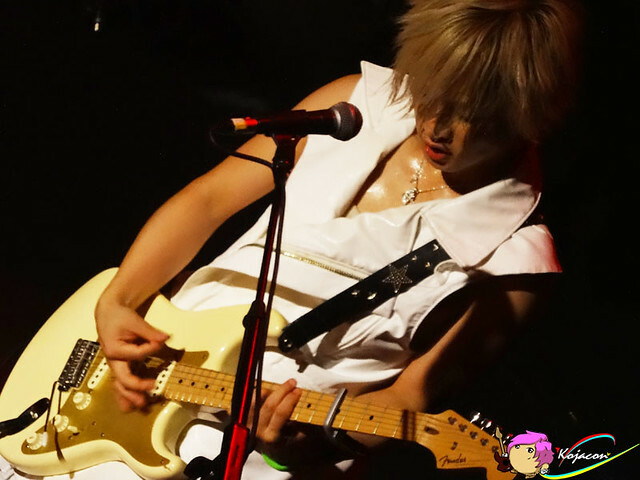 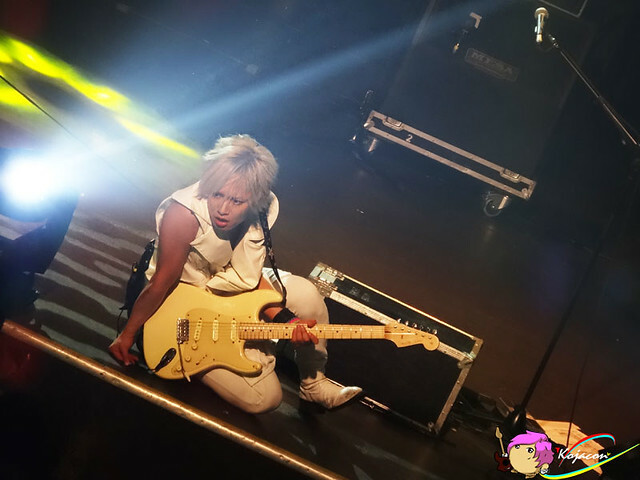 Showcasing amazing guitar skills Hiroto had duet with Shou in Shooting Star. 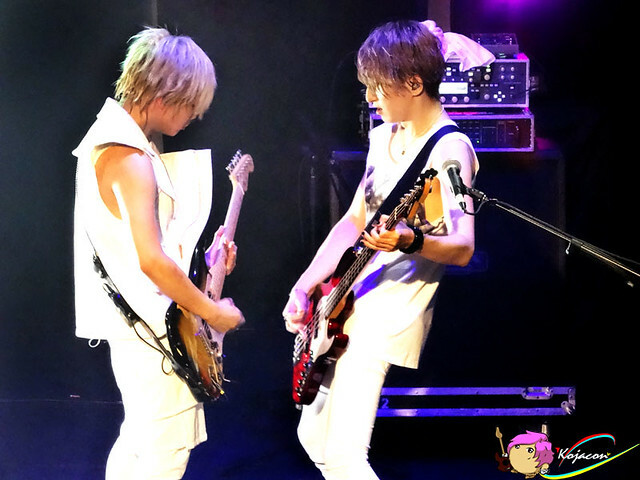 Since it becomes a rather acoustic one, the two of them serenade the melody wholeheartedly which definitely had everyone struck in awe. 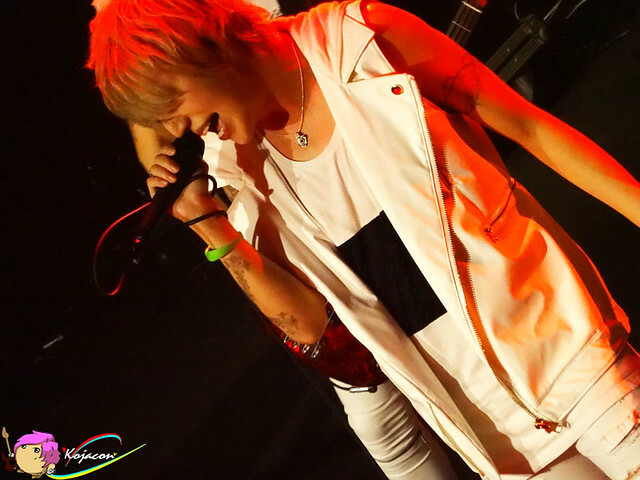 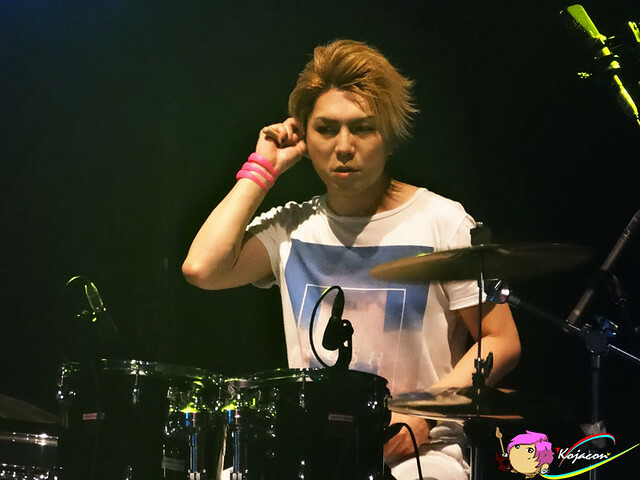 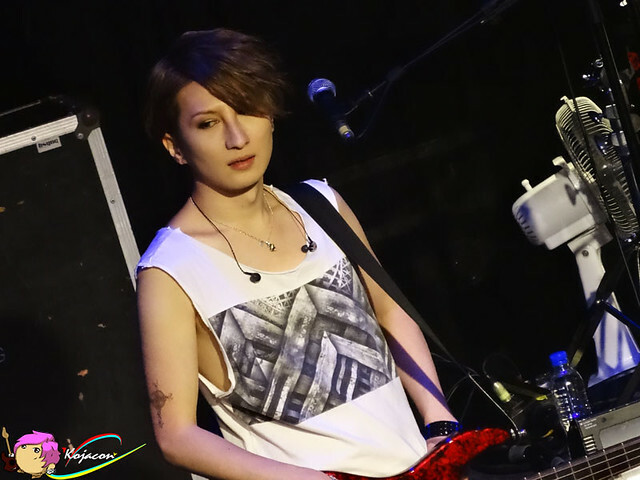 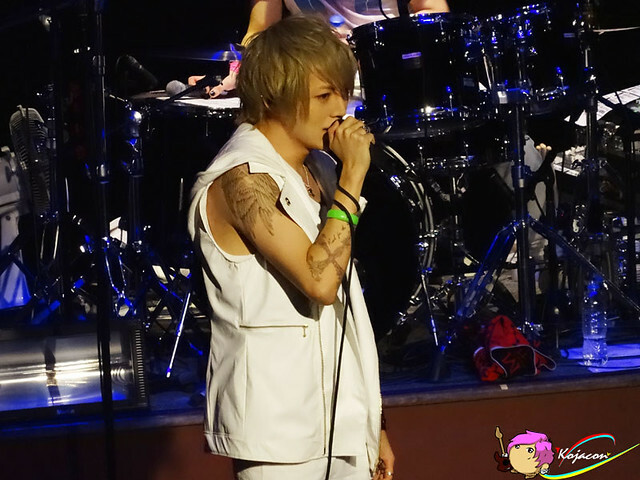 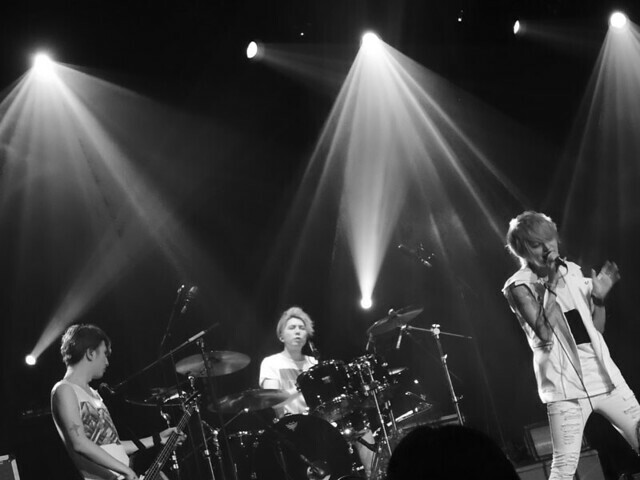 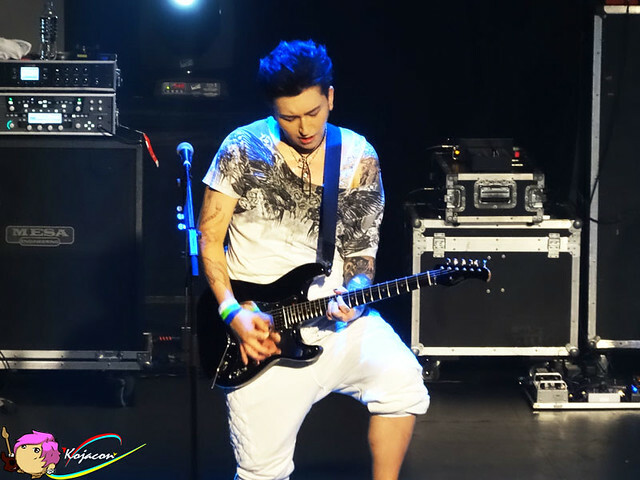 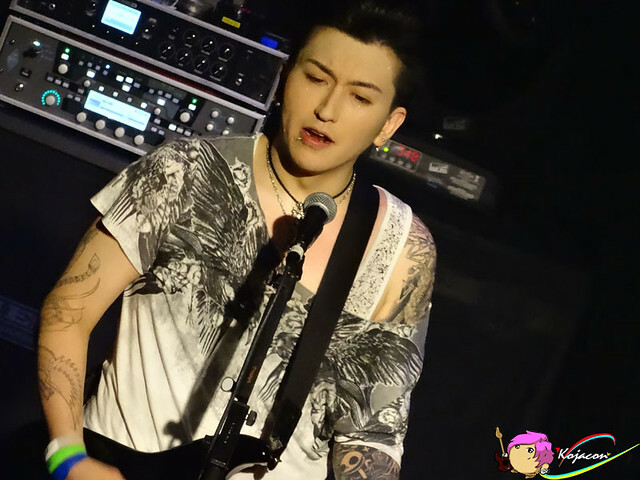 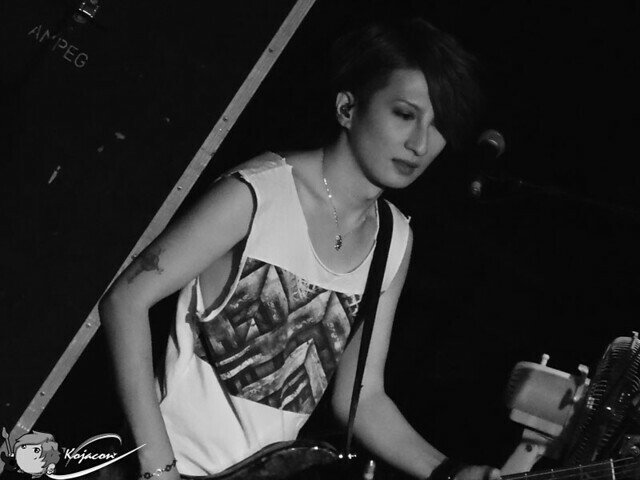 The next performance is Hiroto session and continued with Tora Session. 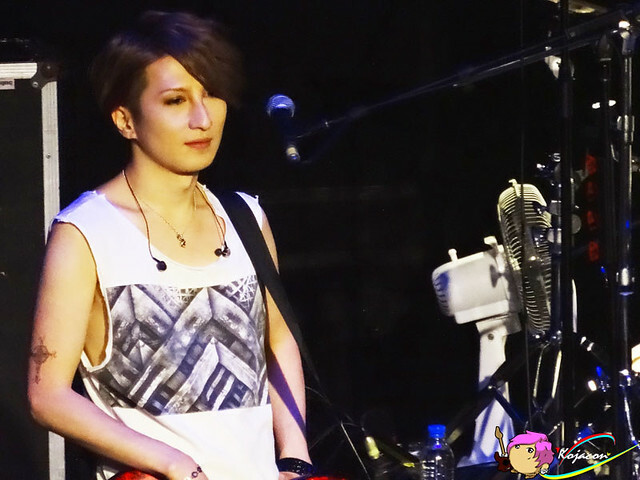 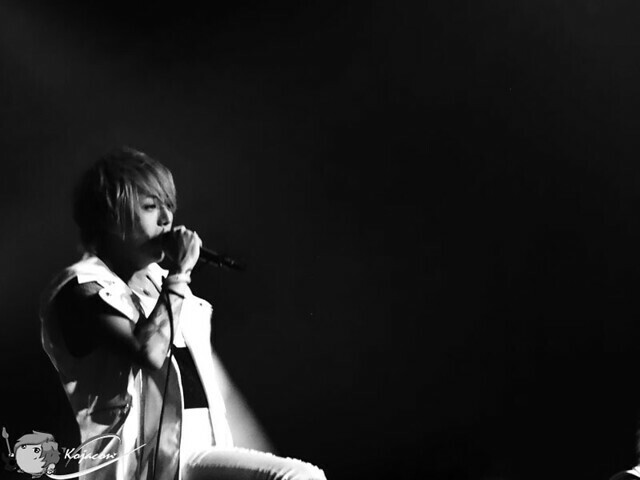 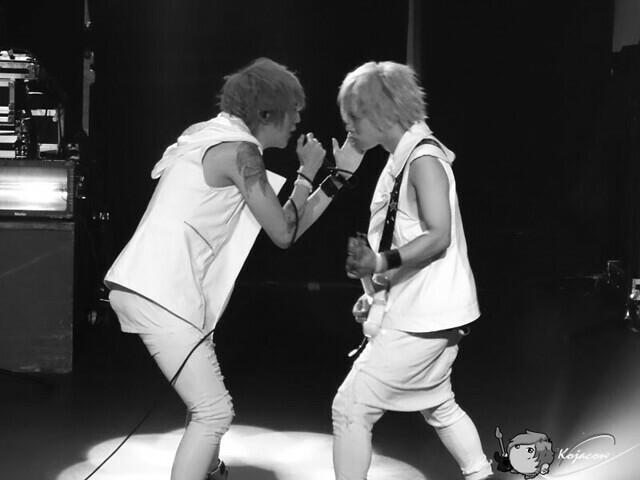 The stage was set to dim light focused only to Hiroto and Tora. 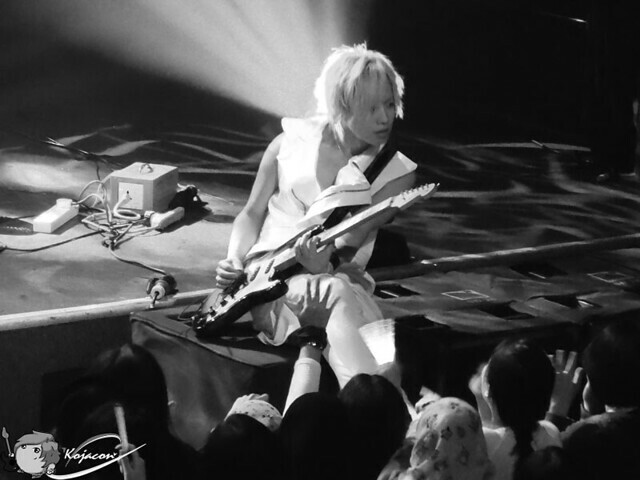 It was a powerful set of solo featuring clean guitar riffs and hard hitting classic metal melody. 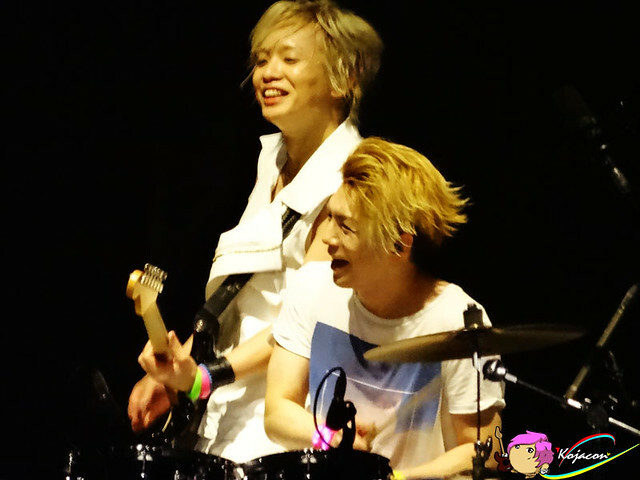 Both showed an amazing skills all evening. 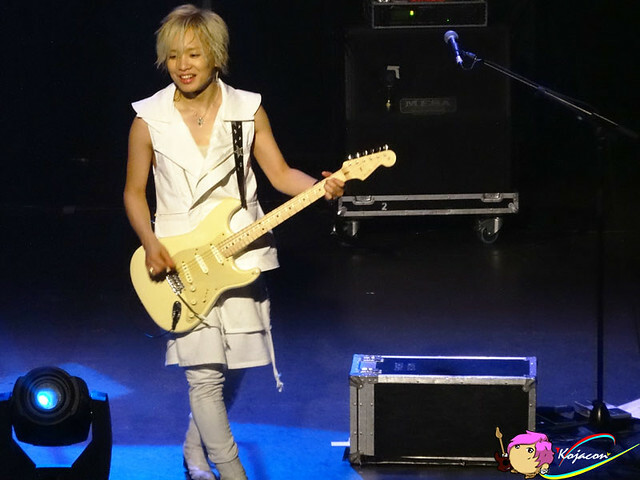 It was a great show and a treat for everyone in the hall to experience such a solo surprise. 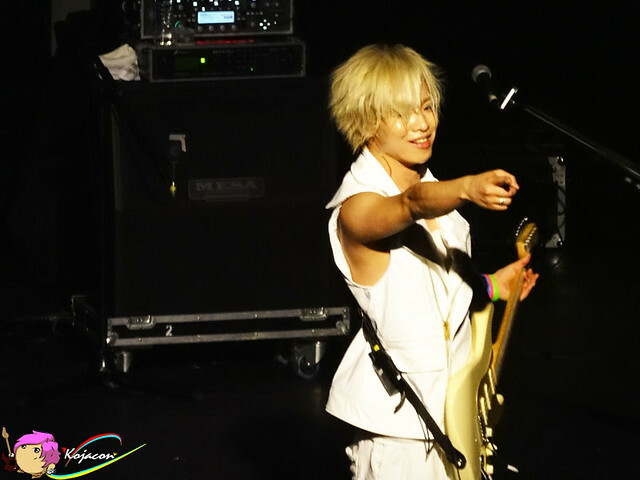 As Spiegel is played, those in attendance were really into the show, singing and fist bumping the band members and generally having a great time. 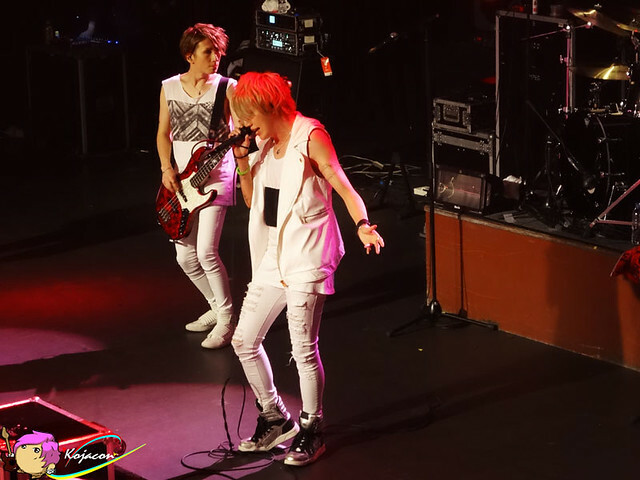 Towards the end of their set, RAINBOWS, SHINING, Shunkashuutou, and TSUBASA. 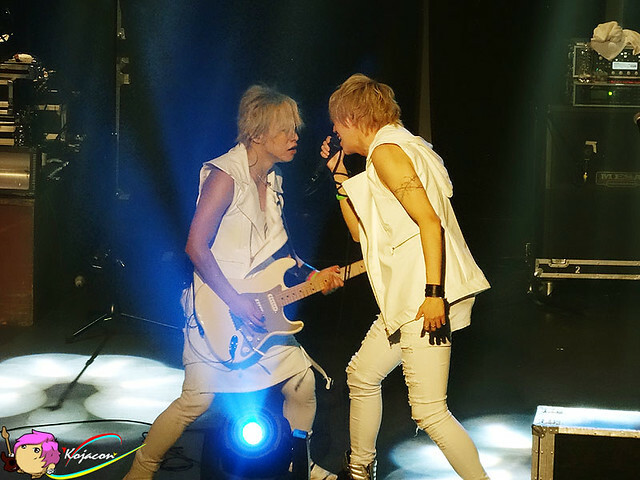 definitely brought back the memory of their 11 years journey together. 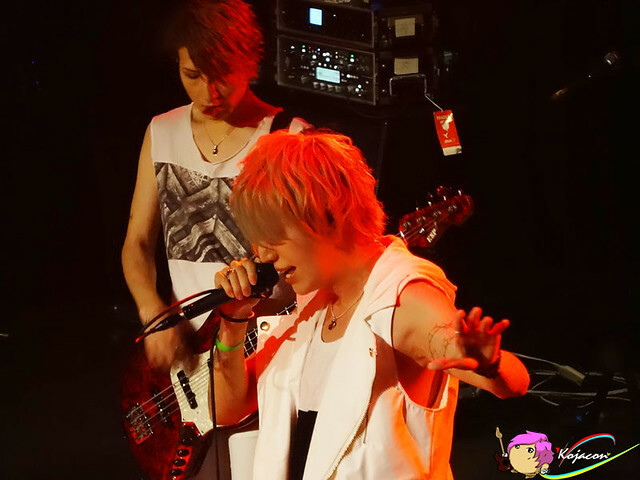 Their music was loud, hard and fast. 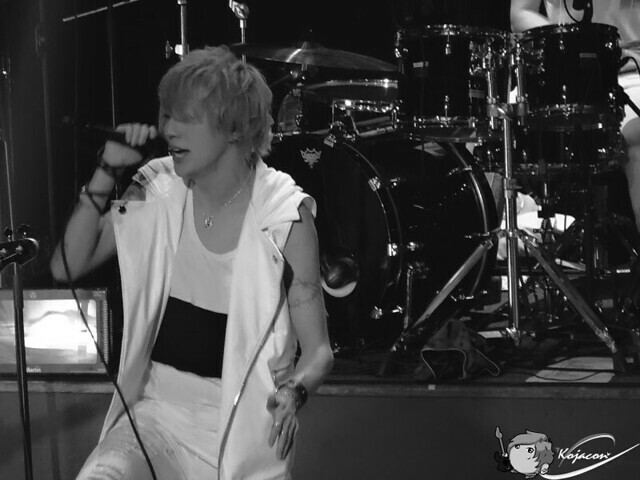 120 minutes has gone in an instant. 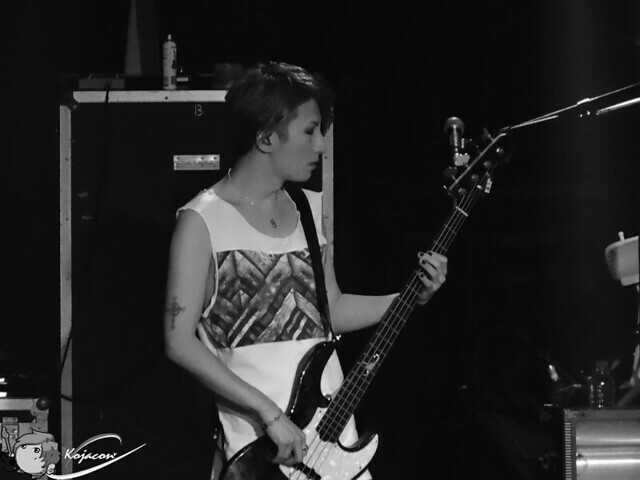 A9 took the stage one last time for encore, stripped down to t-shirt they sold solely for this tour. 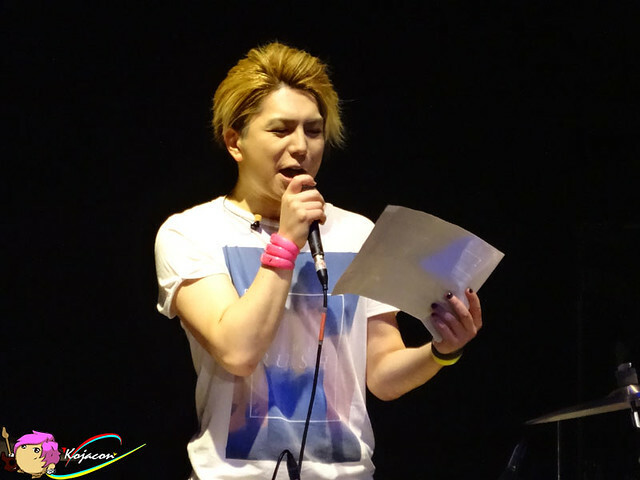 Saga and Nao appeared first to do their session. 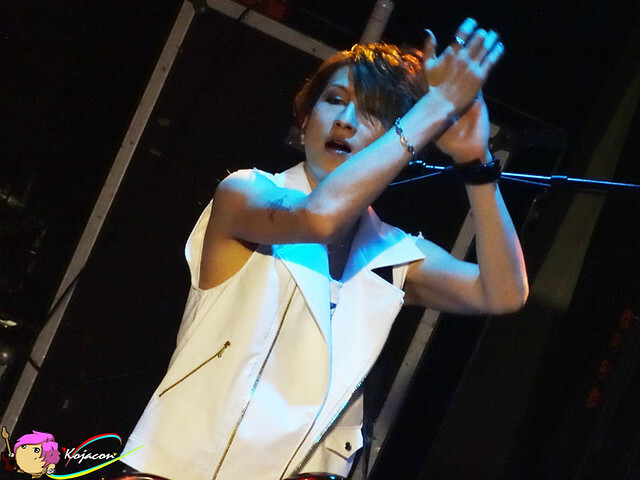 The drum beats and heavy bass chords were tearing it up all night. 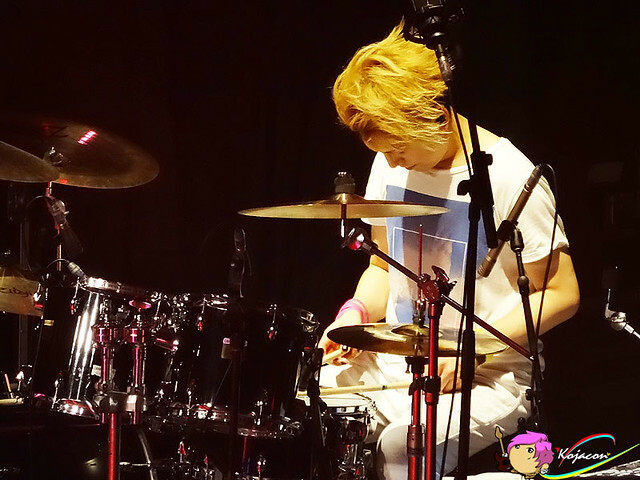 The solo session didn’t stop them from delivering a great set of original music that was a perfect end to a perfect night. 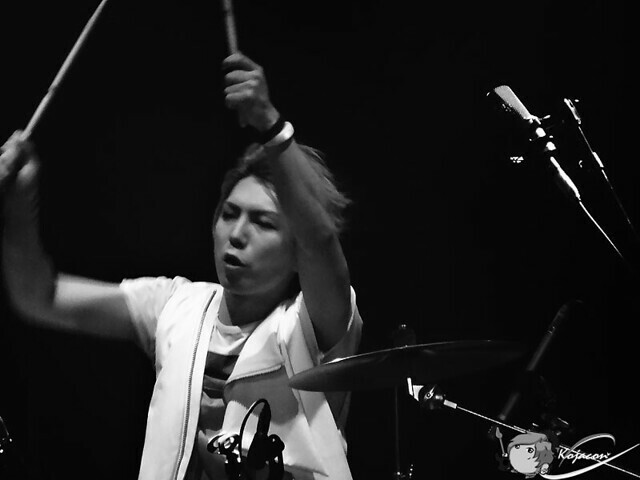 Their solo session was only an intro for louder and faster set, High Collar Naru Rondo. 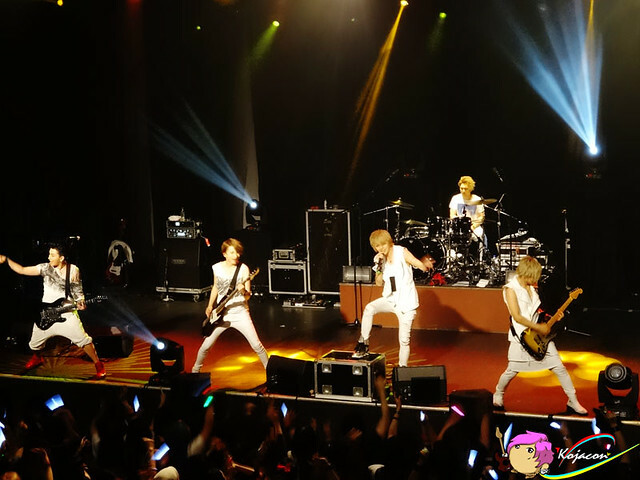 The audience went crazy and did headbang and furitsuke all the way through the whole song. 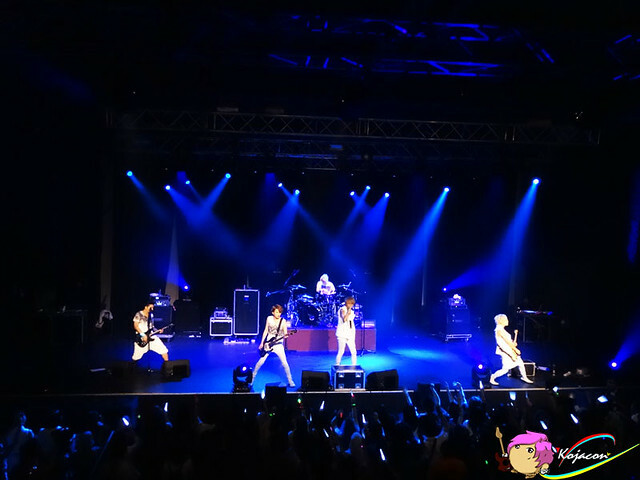 It was an amazing moment and they perfectly ended the night with their forever closing song, the beautiful name. 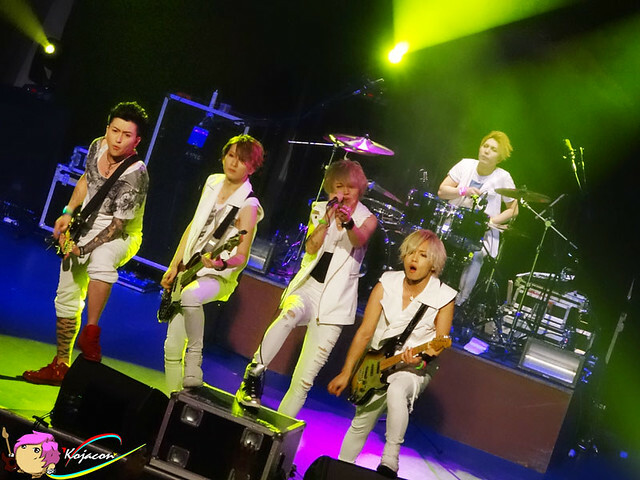 A9 members were as happy as the crowd, visibly beaming at the end of the night.